Los Angeles To Host 2028 Summer Olympics - Joe.My.God. Los Angeles has reached an agreement with Olympic leaders on terms that will pave the way for hosting the Summer Games in 2028 instead of 2024, according to a source close to the negotiation. 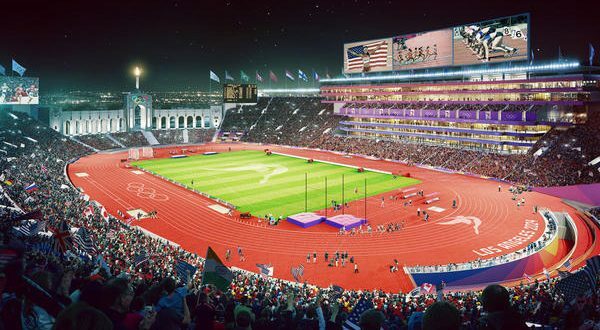 The deal will bring the Olympics back to Southern California for a third time, after Los Angeles hosted the Games in 1984 and 1932. It also opens the door for Paris to host the Games seven years from now. An International Olympic Committee announcement is expected later today. This bid competition began as a simple race for 2024, but all that changed in June when the IOC decided that, with two strong candidates, it would take the unusual step of giving 2024 to one city and 2028 to the other. The next three Olympics will all be hosted in Asia: Pyeongchang 2018, Tokyo 2020, Beijing 2022.